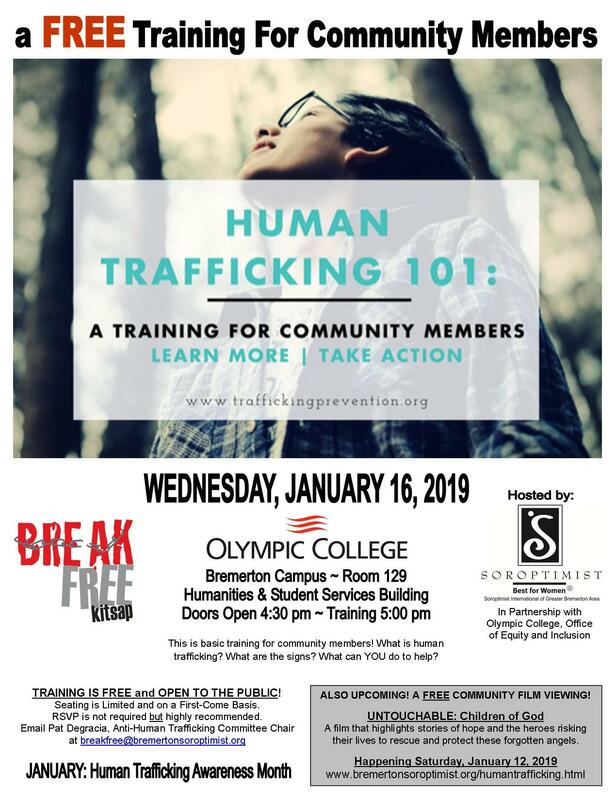 Doors Open 4:30 p.m. ~ Training 5:00 p.m.
against human trafficking through knowledge and a number of active ways YOU can make a difference. If you care about young people in our communities, this opportunity to learn more is for you! * Understanding Washington Trafficking Prevention's work and how each one of us can do something to end exploitation! 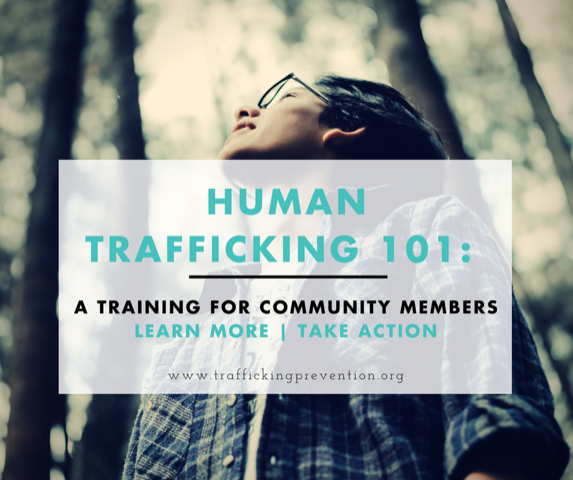 This 1-1/2 hour training is a first step in equipping you to prevent and end human trafficking in your community. and her Bachelor's of Social Work from Pacific Lutheran University in Tacoma, WA. EDUCATION & AWARENESS IS KEY! Seating is limited and on a first-come basis. RSVP is not required but highly recommended for planning purposes. You may do so by completing the registration information below. ALL inquiries are held in strict confidence! Join our efforts to provide education and awareness of human trafficking and sexual exploitation. IT IS REAL and it's happening ... right here in Kitsap County, across Washington State, nationally, and globally. Opt-In to be added to our contact list for future trainings, viewings, events, etc.